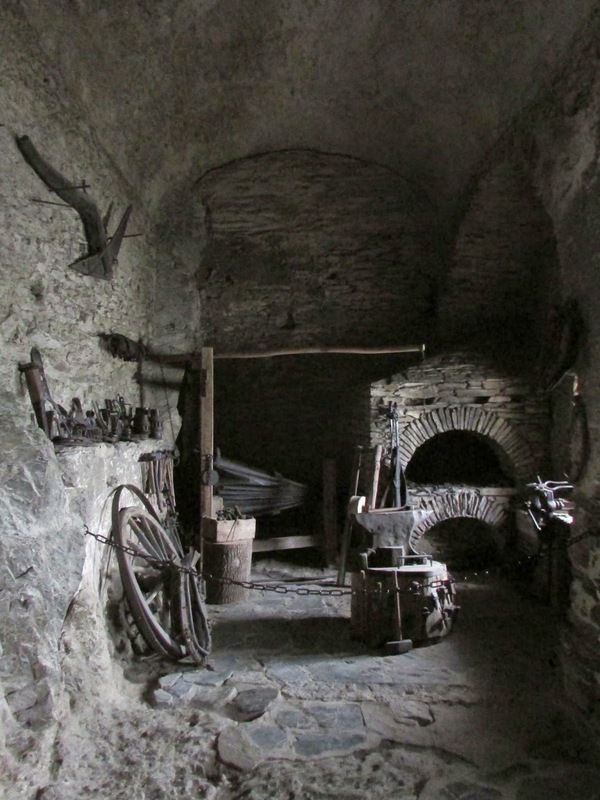 This is the smithy at Marksburg castle in the Rhine Gorge in Germany. I like this photo; the light was just right when we peaked in. 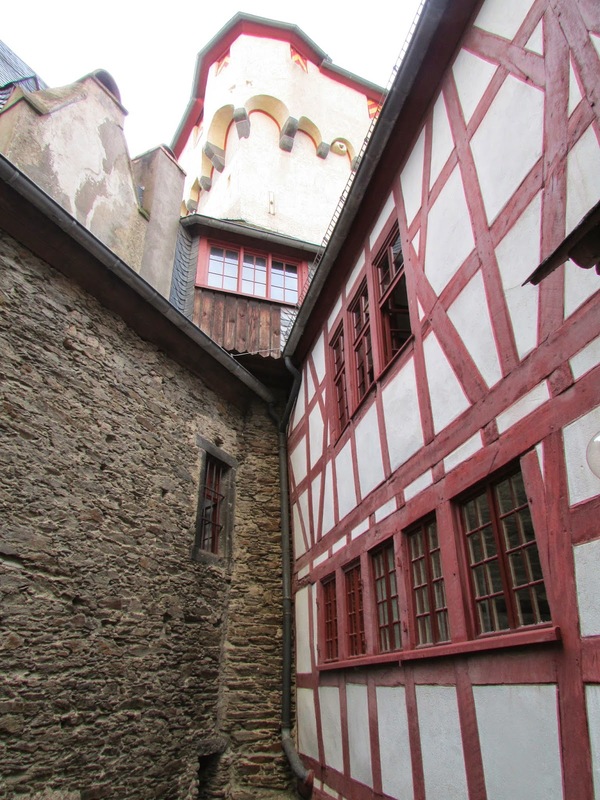 Marksburg was built around 1100 to protect the town of Braubach. Under Napoleon it was used as a prison and in 1900 it became the first castle of the newly established German Castle Association. It is now part of the Unesco-protected Rhine Gorge, which I did by boat and which I recommend. The rooms show late mediaeval furniture and furnishings. It was here that I learnt that window comes from 'wind eye': a hole in the wall to let light through (and for castles like this one, exposed on a hill, a lot of wind as well). 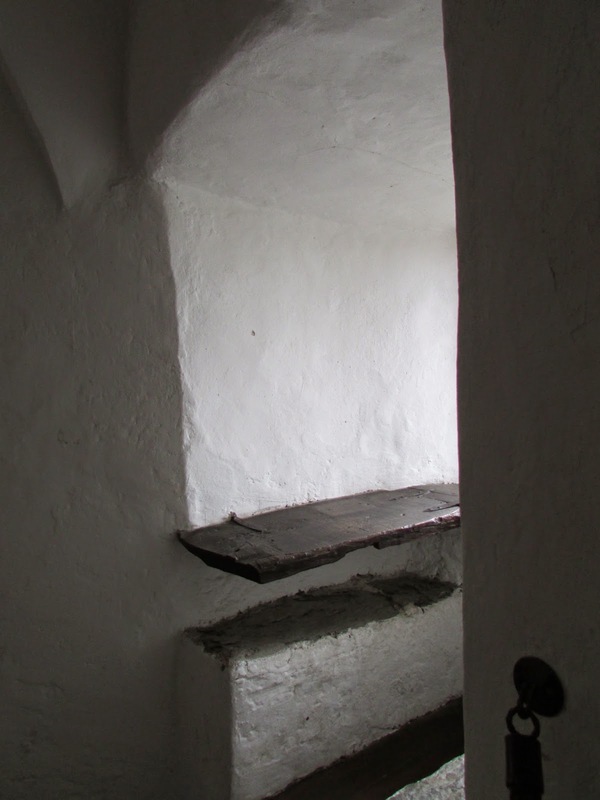 Apparently in winter the holes were blocked with linen dipped in fat. Even though the place is now squeaky clean, with no animals kept in the kitchen anymore, or sand and straw on the floor (and more), the rooms gave a glimpse of what life must have been like, in part thanks to the absence of modern museum attributes. I like that a lot, somehow being transported to another time. The other thing that struck me was the total absence of anything standardised or mass produced, at a time when labour was cheap and material was expensive. We live at the opposite of the spectrum and our material life experience makes viewing this castle unheimisch (now there's a good German word). If you want to go, wear proper shoes. The road up there is steep and irregular and no cars are allowed: www.marksburg.de.